Brasil 2001 | and sure stars shining . . . 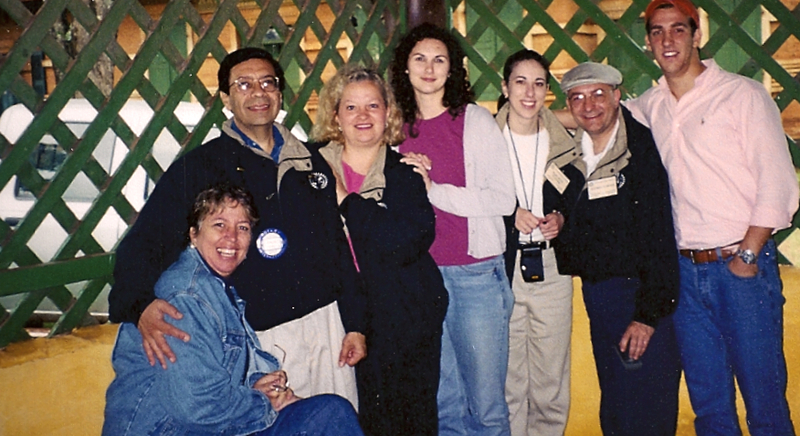 I was selected in October 2000 to be part of a five-person team representing the central Indiana Rotary International district on a five-week exchange program to Brazil. 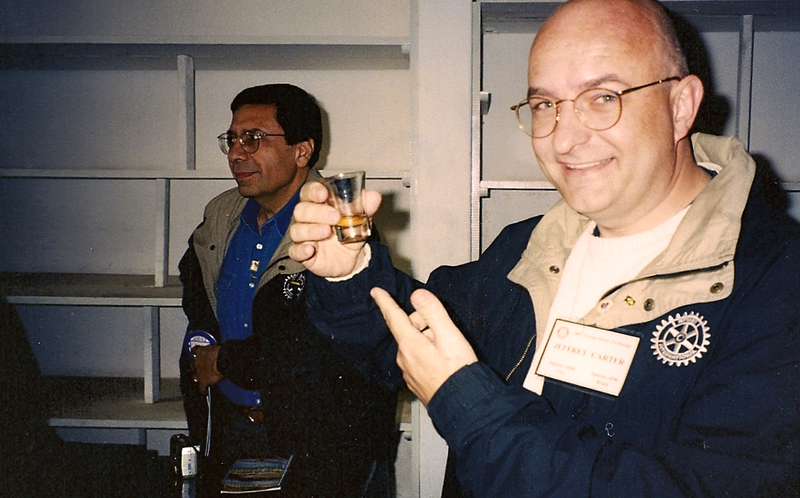 Our trip departed on May 7, 2001, returning to the USA on June 8. My team was led by veteran Rotary member Salim Najjar. Joining me on the trip were three other young professionals (one must be under 40 and not a Rotary member in order to participate in the GSE program): Jane Caslin, Cristine Patterson, and Mary Beth Wagner. 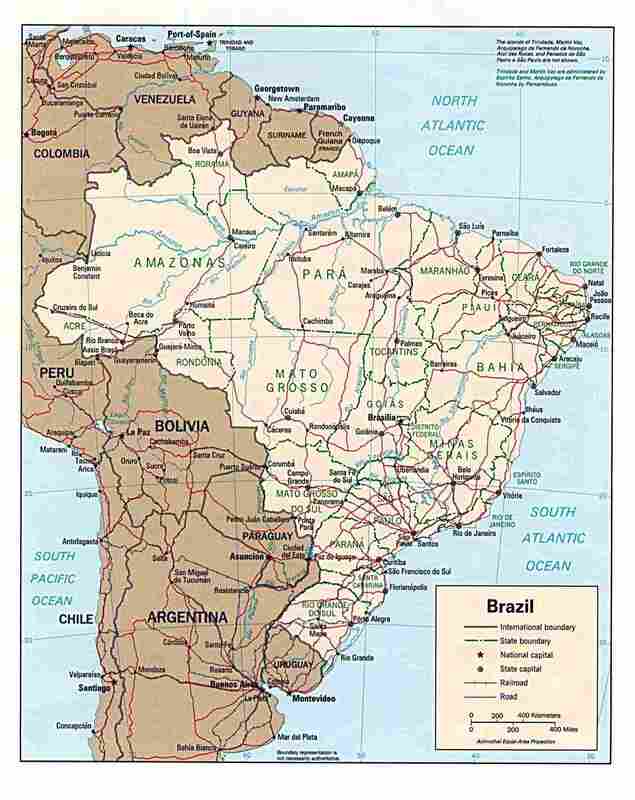 Our destination was the interior of São Paolo state, starting in the one-million-strong city of Campinas and continuing through seven more locations before returning to the US. In all of these cities we engaged in home-stays, save for the hotel in mountains in Águas de Lindoia at a district Rotary convention. Even though we visited southern Brazil in their winter, the weather was more like May here in the US. We found amusing the tendency of some of the locals to bundle up in sweaters, mufflers, and gloves when the morning temperature was 60° F.! The inbound GSE team and our Brazilian greeting committee in Sao Paulo. As I look back now, with eight years’ distance, and with four trips to Asia and seven trips to Europe in the intervening eight years, I can see how this particular trip really started me on a path to a wider world view. My previous trips had been to the UK, or to visit family in South America, both enlightening, but not nearly an immersion experience. During this trip I stayed with locals, tried to speak Portuguese, ate the local cooking with adventure and usually with abandon, and tried to take every moment in stride. knock off the sniveling – we’re being treated like diplomats, already! 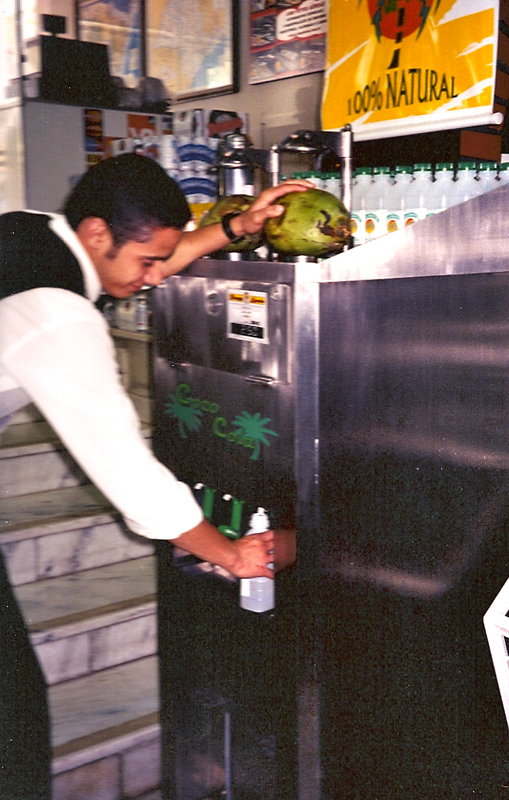 Just before my first-ever taste of fresh coconut juice. My journal for this trip is one of the longest and most complete I’ve ever kept. It had to be, given the intense immersive nature of the home-stays and the pressure of being around the same four other people day after day after for a month. Every bit of São João de Boa Vista. Herewith, a short detail of city by city . . . .
Campinas, a larger urban city of about one million was our starting point. I actually had two home-stays here, the second one a very comfortable fit as I was lodged with two music professors as the local university. Eduardo had lived in Indiana for some years, with a doctorate from IU. We engaged in some pretty serious conversations about religion, capitalism, and economics. Eduardo and Helena took me to the opera and to the symphony as well. I met American missionaries along thew way, feasted on trout almondine at a restaurant in the mountains, and visited more schools and museums than I can remember. On one façade of São Paulo’s Teatro Municipal are listed names of five important composers of opera: Verdi, Bellini, Rossini, Donezetti, and Carlos Gomes. Gomes is from Campinas, where I visited his museum and library. All of his original manuscripts are there, moldering away in boxes, with no humidity control, careful preservation, or other customary artifactual precautions. I got to play his piano! Campinas was a great start for this trip. I stayed in elegance, with a piano and harpsichord in the full-floor apartment. The city was glad to greet us, as were local Rotarians. I have very fond memories of this place! At an art museum in Sao Paulo. 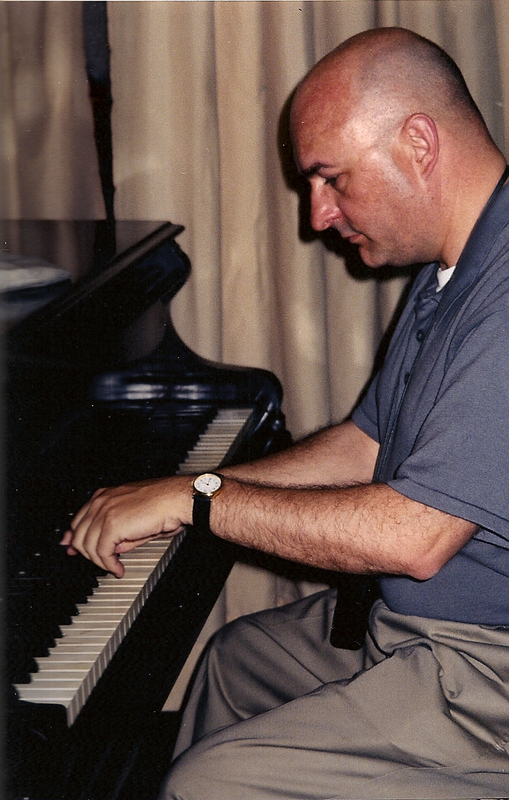 Playing Carlos Gomes' piano at the Gomes museum in Campinas. 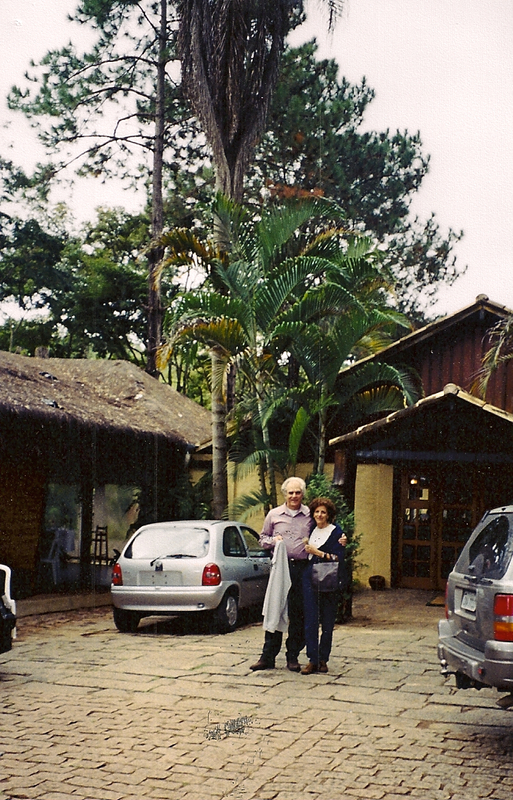 My hosts in Campinas, Dr. Eduardo Ostergren and his wife, Helena. 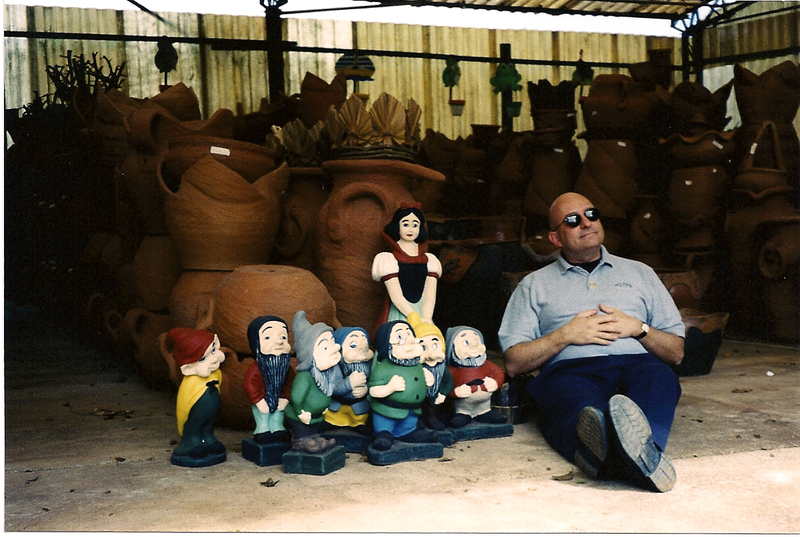 In Araras, at a garden store, we find Snow White and eight dwarfs? Araras was a near-total contrast to Campinas. The setting of the city of 50,000 or so is rural, with corn and sugar cane fields all around. At the city center is a large urban city park with flamboyant trees all around. My host family here, the Ghellers, live in upper-middle-class comfort. 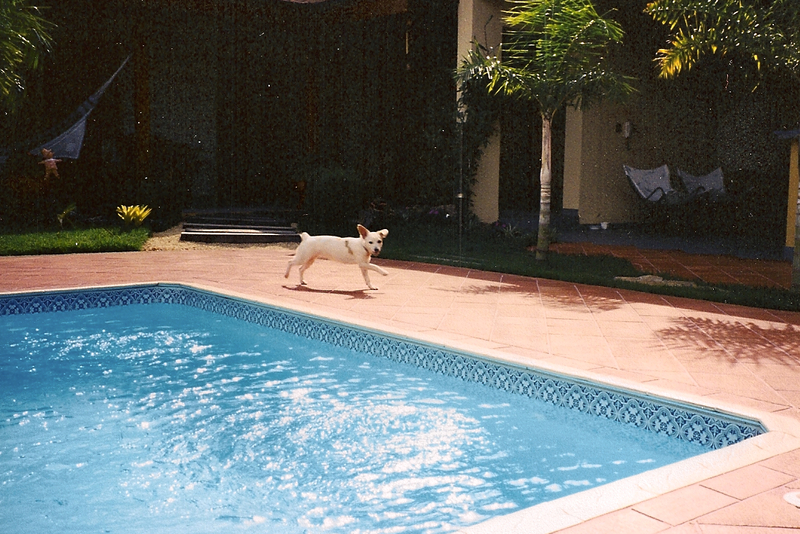 My room opened onto backyard gardens, a pool, the barbecue, the sauna, palm trees. The floors were beautiful stained cherrywood. I remember drinking cashew juice on while in a chaise lounge by the pool, and eating my first pão de queijo (something I make to this day). The Gheller son, Guillermo, lived at home while going to college. He was a delight! Ana, the mom, took a real liking to me, and I to her. The Ghellers, my host family in Araras. The dog at my host home in Araras. While Campinas felt like a more formal visit, this one felt like home. We all bonded with the host families, several of them with children that we had a hard time leaving a few days later. I visited an after-school music program, made fast friends with several local musicians, and feel head-over-heels for the life these folks lead. Visiting a sugar cane plantation in Araras. We had a couple of memorable excursions in Araras. 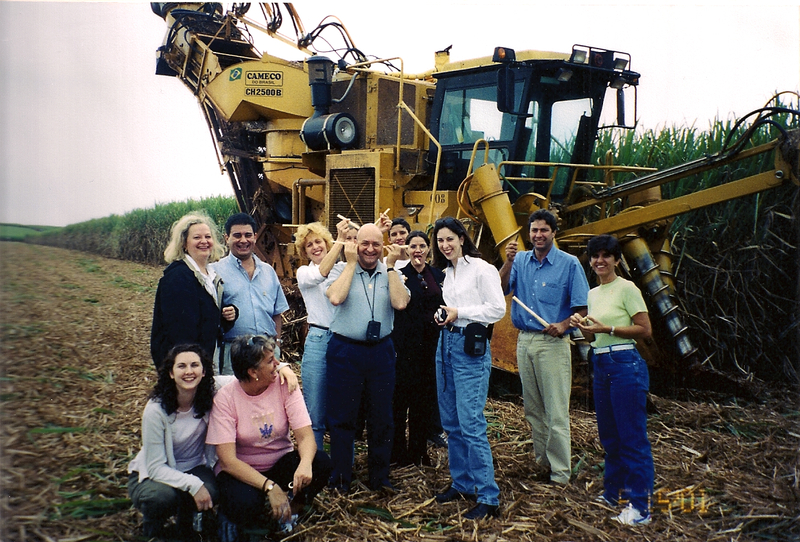 We followed sugar cane from field to refinery to packaging, and each got to ride in the cab of harvesting combine. We visited a former coffee plantation that is now an orange plantation, where I have strong memories of the beautfiul pool, the stables, and the old slave-child schoolhouse where we ate a wonderful traditional meal. At a orange plantation for a traditional Brazilian luncheon. the warmth of these friends, and their givingness. 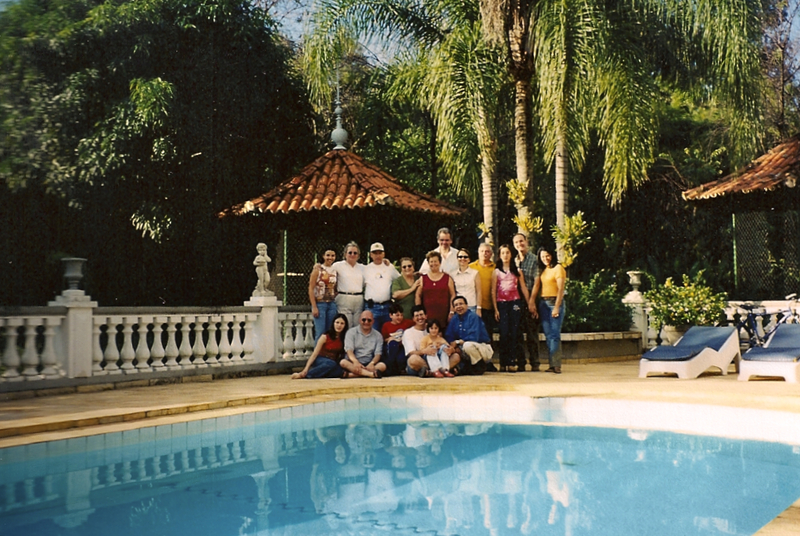 This stay was one of two tough ones for me, especially after the newness of Campinas and the warmth and joy of Araras. My host family parents spoke no English, but they had a piano that I played quite a bit, so we bonded over that. Their two sons spoke some English in a schoolboy way; that helped over meals. I recall visiting an orquidaria (orchid farm) here, as well as meeting with a very staid Rotary club. Much of one day was spent in visits to schools and music conservatories. One of this visits was to a school of English culture run by local Lutherans whose ancestors had been German immigrants. A group of 7- and 8-year-olds were learning English by singing Jesus Loves Me and Edelweiss. They closed their concert for me with a touching Hebrew song, the word shalom being repeated quite a few times. I was touched to tears. That visit closed with proper British tea at 5 p.m.
Rio Clara was the stop where we all started to fade. At the two-week point, each of us on the team were weary in our own ways. In long retrospect, the one part of this visit that stands out the most is the visit to a eucalyptus plantation! A eucalyptus plantation in Rio Clara. My hosts in this little town up in the mountains were the Golinelli family. 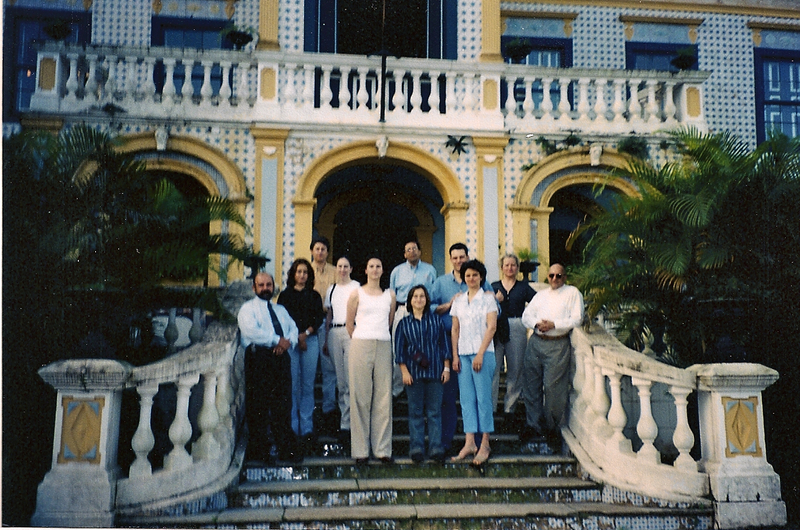 Sandra led the counterpart Brazilian team to the USA just a few months prior. She is a ball of energy, with a darling son, a great husband, a super maid, and comfortable middle class home. English was spoken freely there. 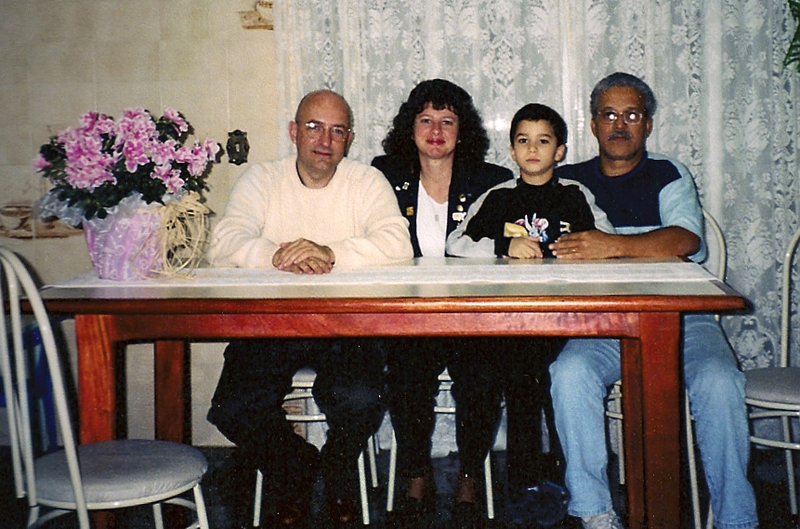 My hosts in Sao Pedro: Sandra, Luis, and Jamil. I truly have deeply fond memories of São Pedro – of the spa and sulphur bath and massage; of the piano in the house; of the first and last taste of jaca fruit; of Luis, the young son, falling asleep on my lap in the car; of the trip to the waterfall and the afternoon in mountains; of the slower pace (Sandra knew we’d be tired, and purposefully planned some down time each morning); of the long and surprisingly deep Q&A with one of the Rotary clubs we visited. About that jaca: it looks like a dead armadillo, smells like the stinkiest feet ever, and then tastes like the most amazingly potent banana you can imagine, if you can get past the rubber-cement texture of it. At a waterfall in the mountains outside of Sao Pedro. A commercial shot of that same waterfall. São Pedro felt like Pleasantville. One could walk the streets and feel safe. One wanted to visit with neighbors. The town square was alive with people at 10 p.m.
On one of our days there, we traveled miles away to Piricaba to visit the local land-grant university, an agricultural school. I brought home with me that day a recipe for Brazilian flan, dictated by a local host over dessert on the veranda at luncheon. I also visited at cachaça distillery, and enjoyed the tasting room very much! 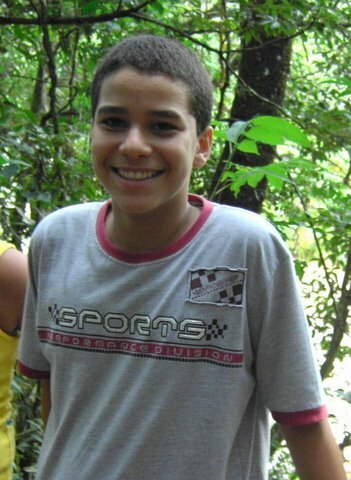 Luis at age 12, 2008. 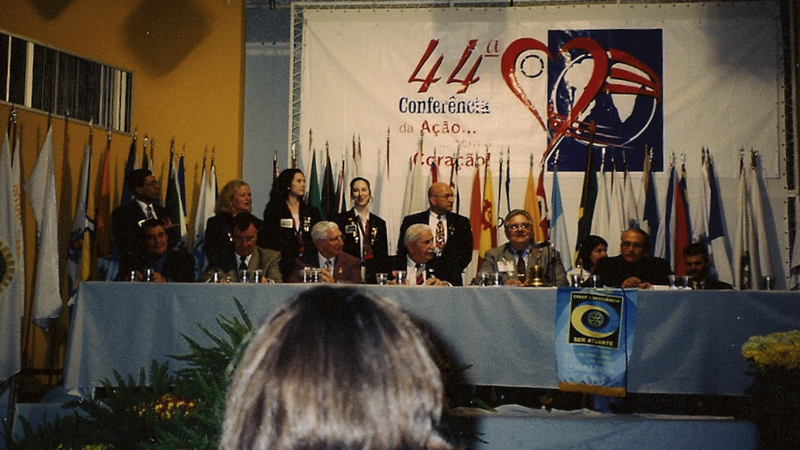 An in-bound Rotary GSE team always attends the local district convention, held in this district in 2001 at a mountain resort. Lindoia was our one hotel-stay of the trip. We ate in the dining room for each meal, spent plenty of time walking the sidewalks and enjoying the city, and presented at one session in what the locals called the highlight of the convention. (Our presentation featured a Powerpoint about Indiana, a short testimonial from each of us, and then a bastardized New York, New York in Portuguese, about Brazil, with poor pronunciation, but always a hit with the hosts.) I was ill with allergies for much of this stay, and don’t have the strongest memories of our time in the hills. At the district Rotary convention in Aguas de Lindoia. 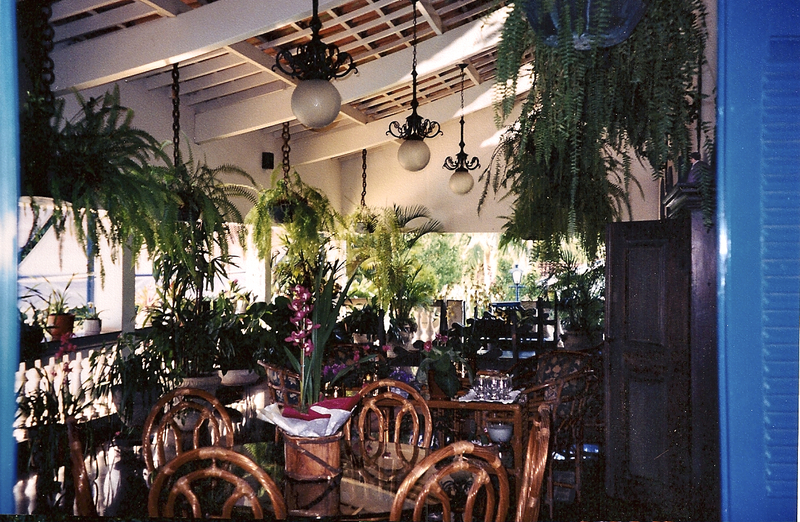 The strongest memories of Limeira are of a visit to a pectin factory, and another to an old plantation outside of town. And of the doctor who led one of the local Rotary clubs and his triplet daughters. A plantation house outside of Limeira. I feel like royalty here. São João de Boa Vista. Each of the GSE members on this trip experiened at least one awkward and even unsettling home-stay. And each of us experienced one Taj Mahal home-stay too. Mine was in São João de Boa Vista. I was billetted in the guest house down a short hill from the main house. Outside of my bedroom window were amazing Bird of Paradise flowers, toucan birds, parrots, tennis courts, bamboo screening the stream at the edge of the property. The main house was filled with art. The two doctors who owned the estate were parents of two kids; the whole family spoke excellent English. I had a maid who washed my clothes every day, made my bed, stocked the refrigerator, and cleaned the bathroom. And I had a living room all to myself. My host home in Sao Joao. At the pool at my host home. 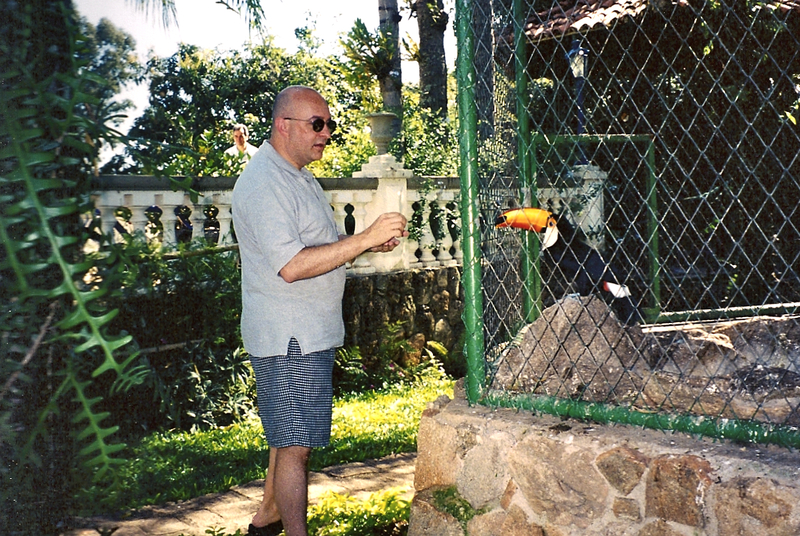 Feeding the parrots and toucans at my host home. So much about this town in the mountains was memorable: the trip to Minas Gerais, the neighboring state; the visit to the veterinary hospital; the local students; appearing live on the air at a radio station; meeting a local artist, and bring a painting home with me; the host family; the farewell celebration in the pavilion on my host estate, and the local Pentecostal choir that serenaded us with the Exodus song, Great is thy faithfulness, and quite surprisingly Va, pensiero from Verdi’s Nabucco. I could go on and on about São João, just like I could about São Pedro. 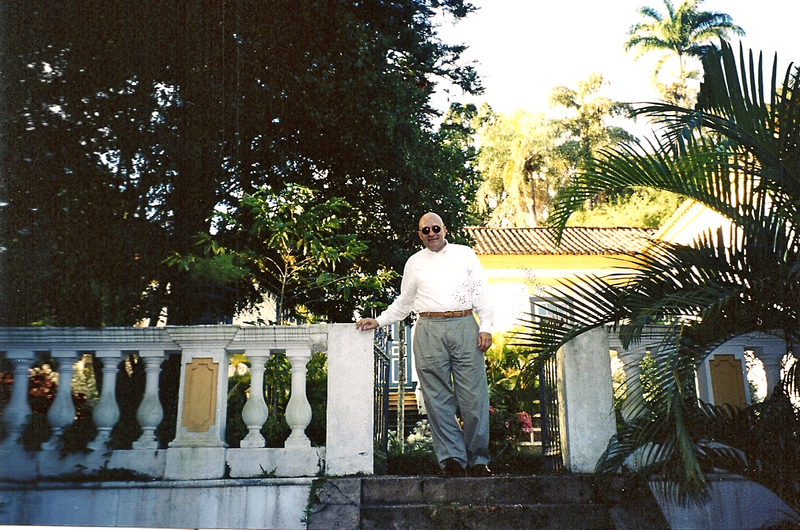 With Lineu Helenha in Pocos de Caldas, Minas Gerais. 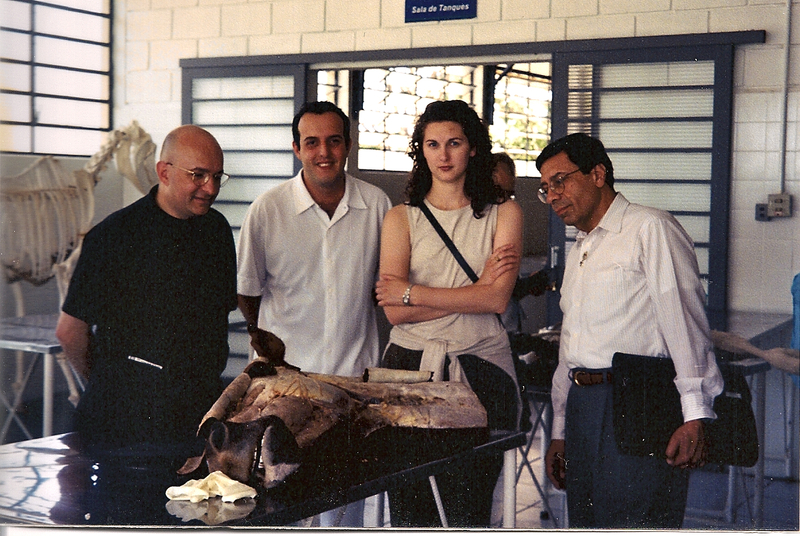 A veterinary teaching hospital in Sao Joao. Notice the preserved horse head used for teaching. I was, and am, completely in love with São João, a magical city of the happiest people imaginable. Our final stop led us back toward the sea, toward Campinas, into Atibaia. My host family here were two local dentists, their wonderful 11-year-old daughter, and their skateboarder 17-year-old son. I had a grand time with this family that so reminded me of home. At this point in the trip we were all pretty tired. 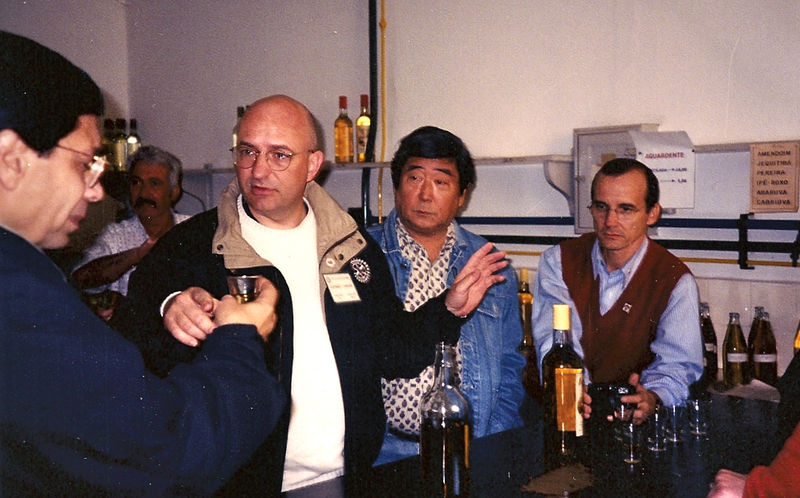 Cultural diplomacy entails a number of factory visits, meetings with local dignitaries, Rotary club meetings with the same presentation at each one, and school visits. My strongest memories here are of a couple of grand meals, of a capoeira demonstration, and of the trip to the rocky top of a nearby mountain. At a half-mile above sea level, this city certainly boasted plenty of natural beauty! A rocky mountaintop in Atibaia. I have several remaining impressions of Rotary Clubs in Brazil. Weekly meetings are usually with spouses, and the whole experience feels more like a social club with a great deal of civic action and focus on civic betterment. Many clubs in the smaller towns have their own buildings and meeting halls. 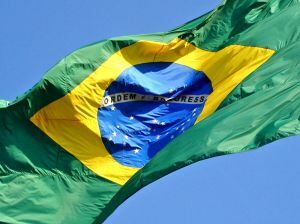 Much of the function that 50 years ago was led in this country by Protestant churches seems, in this area of Brazil, to be led by the local Rotarians. Upon my return from Brazil, I didn’t undertake a whole lot of introspective rumination. As I look back now, though, I see just how much this particular trip has set me down the road the now I walk, one of global citizen, cultural omnivore, eager traveler. 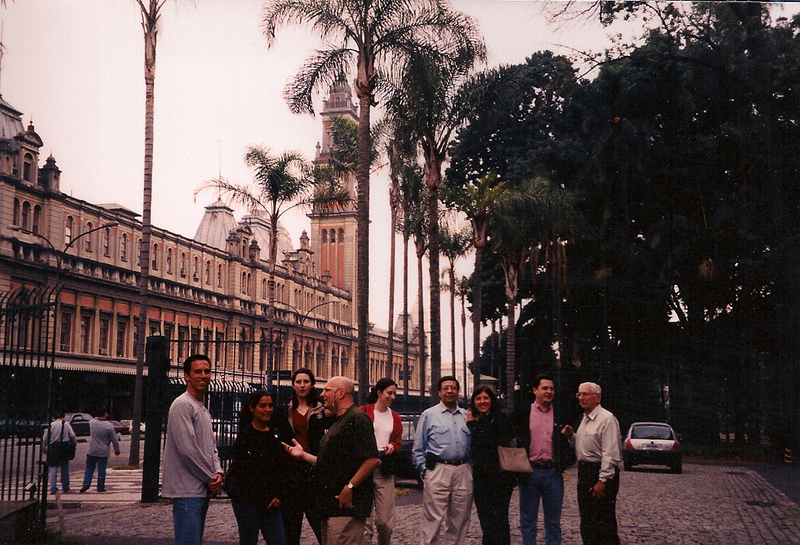 And as I review my journal and look at these pictures from the overflowing scrapbook, I realize that so many people in Brazil touched my life during that month in 2001. The Araras, São Pedro, and São João stays in particular were major highlights of the trip. Sandra Golinelli and I continue to write; I hope to see her and Luis and Jamil again one of these days. Pingback: Brazil | and sure stars shining . . .
Pingback: Brasil 2001 | and sure stars shining . . .